“Luck of the Irish” won’t save a person from being charged with drunk driving and other traffic infractions this St. Patrick’s Day. That’s because New York State Police and local law enforcement will be increasing enforcement throughout the holiday weekend as part of the STOP-DWI St. Patrick’s Day Crackdown initiative. The statewide enforcement campaign starts on Friday, March 15 and will run through Sunday, March 17. Police will step up patrols in both marked and unmarked vehicles in an effort to curtail the injuries and deaths associated with drunk driving. Despite the emphasis on DWI, police will also be mindful of other common moving violations, including speeding, texting while driving, seatbelt violations, and more. According to preliminary data from the NYS DMV, there were 875 police-reported accidents in which drugs or alcohol were a factor. This is slightly above the monthly average of 835 impaired-driving collisions for 2018. Fatal accidents were slightly below average for the month, with 21 in March compared to a monthly average of 24. The data did not indicate how many took place during St. Patrick’s Day Weekend and STOP-DWI did not report results for its crackdown last year. State Police issued 7,891 tickets and arrested 139 people for impaired driving during the most recent Super Bowl weekend enforcement initiative, which ran from Saturday, February 2, through Monday, February 4. Nearly 2,500 tickets were for speeding, while 215 were for cell phone or texting violations, 230 were for seat belt violations, and 127 were not complying with NY’s Move Over law. A driver can be charged with DWI if he/she is caught behind the wheel with a blood-alcohol content (BAC) of 0.08% or higher. More than just a traffic violation, DWI is a criminal offense and a conviction will result in having a permanent criminal record. In addition, the driver can end up paying fines of up to $1,000 and spend up to one year in prison. He/she could also be required to install an interlock device on his/her car and attend a victim impact program. Drunk driving convictions also cause auto insurance premiums to increase dramatically: in some cases by as much as 76%. 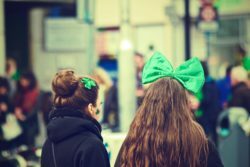 If you or a loved one ran out of luck this St. Patrick’s Day and have been charged with DWI or any other traffic violation in New York, you need the help of an attorney. 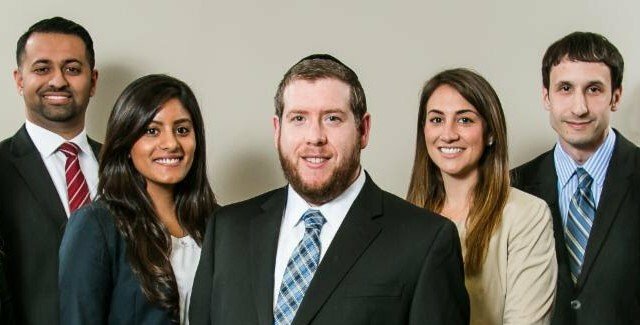 The lawyers of the Rosenblum Law Firm are skilled traffic ticket attorneys with experience fighting drunk driving charges in New York and New Jersey. Email or call 888-203-2619 for a free consultation about your case.